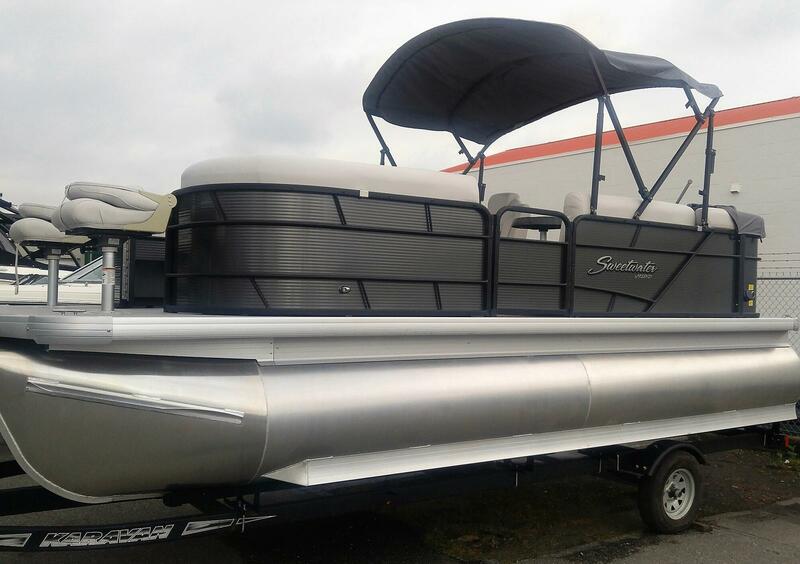 Just in, and a very popular model, this 2086 Sweetwater Bow Fish is a great boat for the family that wants to cruise, fish and explore! 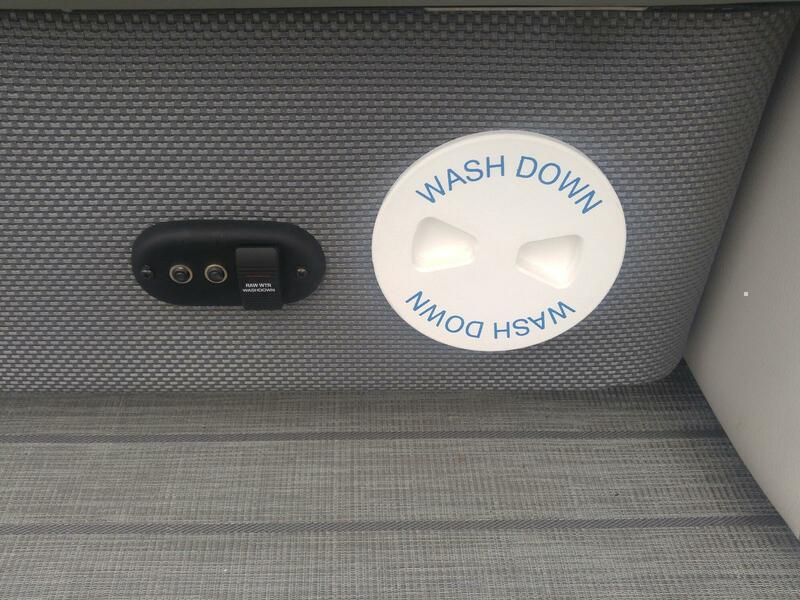 Raw Water pressurized wash down, and much more! 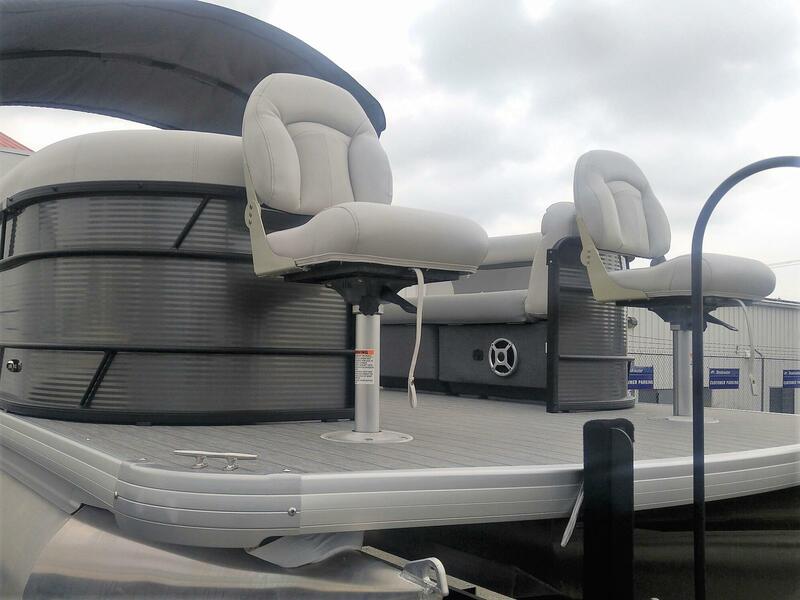 The twin 27" oversized toons have full length interior and outer lifting strakes to provide optimal stability and performance in all water conditions! 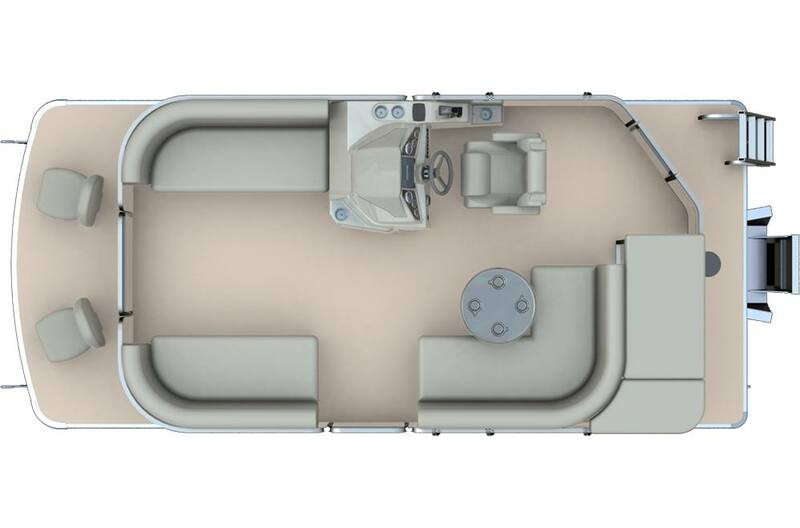 Lifetime hull and deck construction and leak warranty is included. 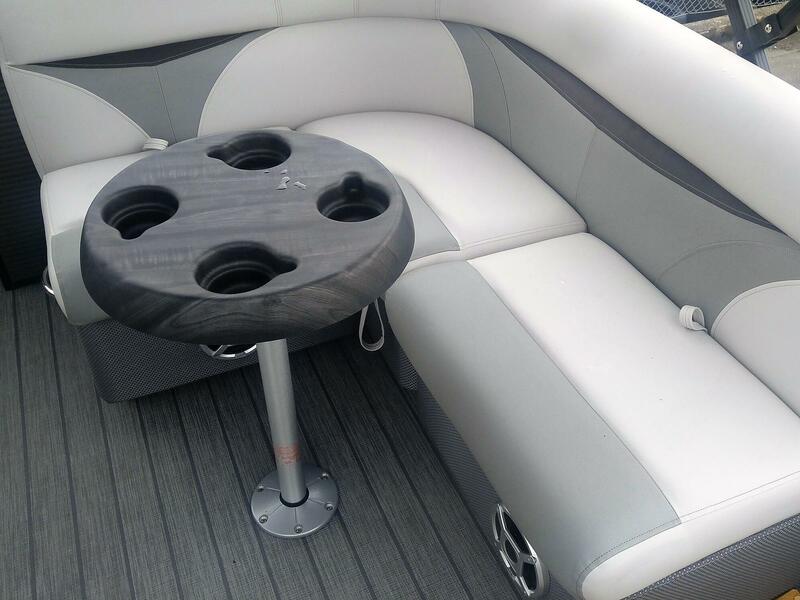 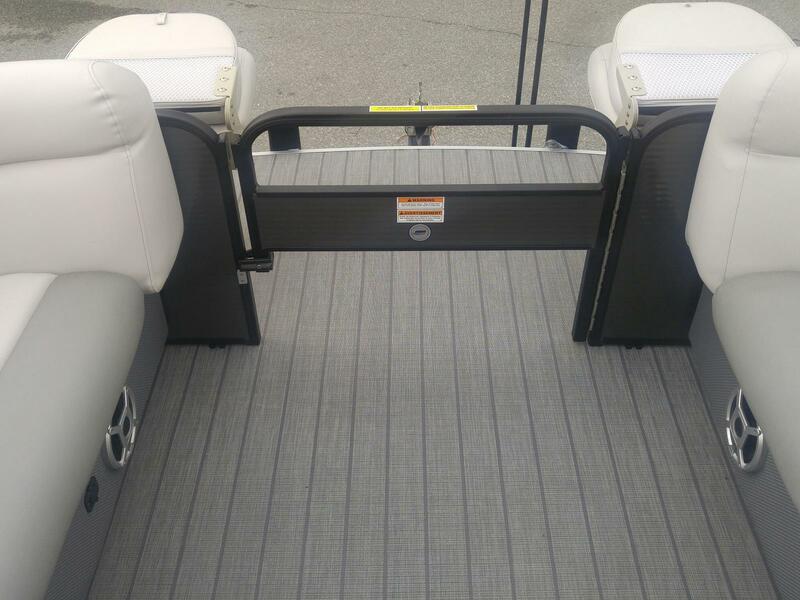 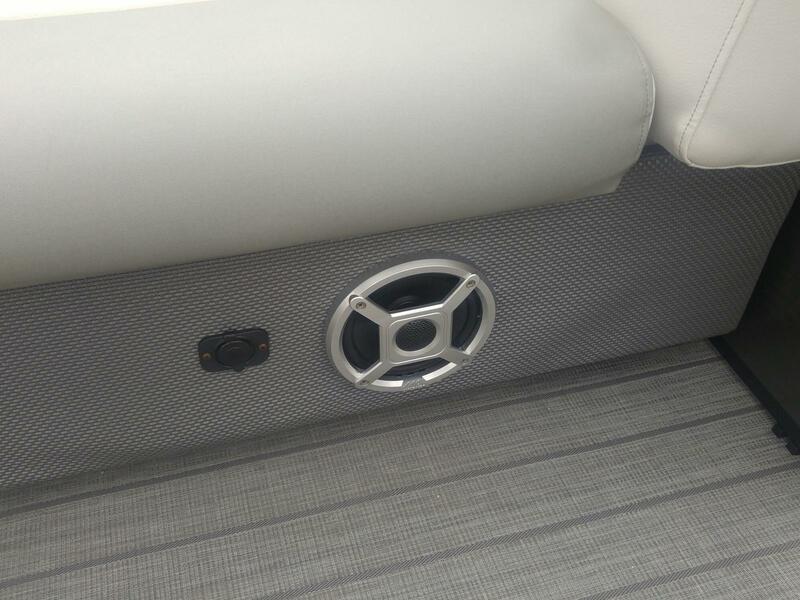 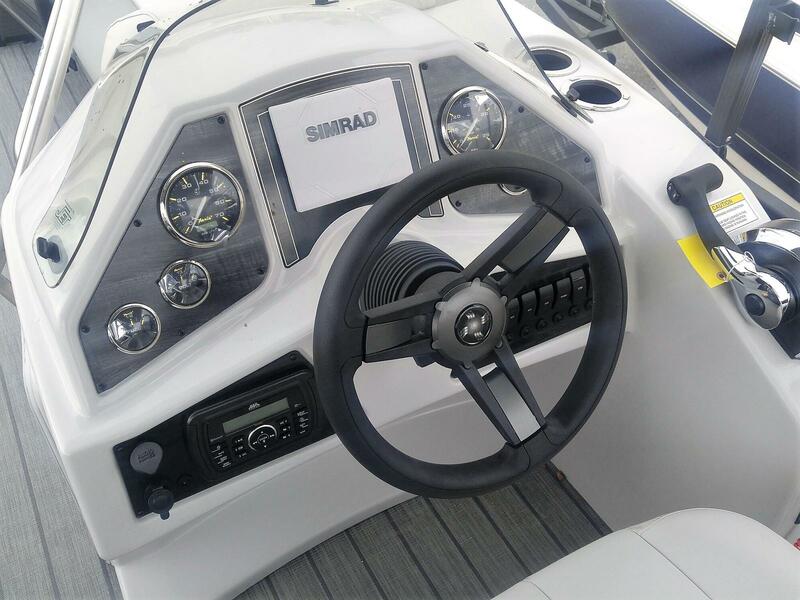 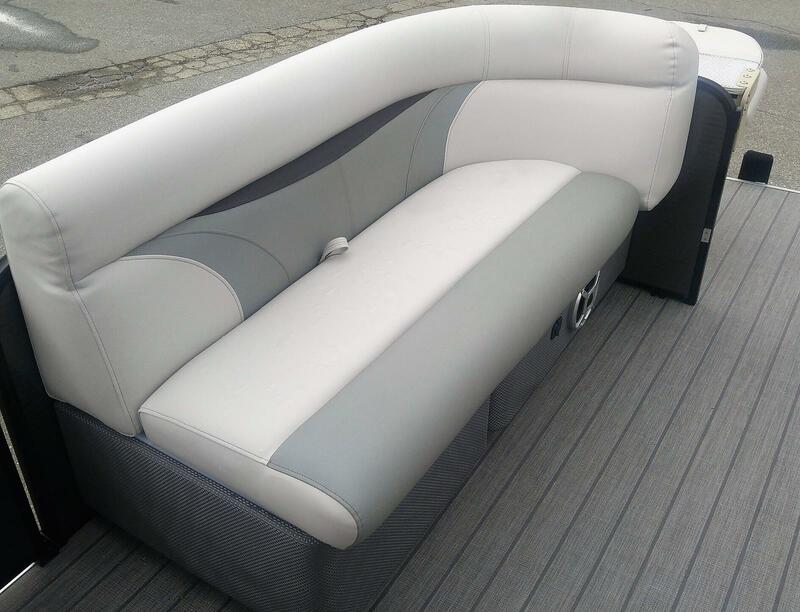 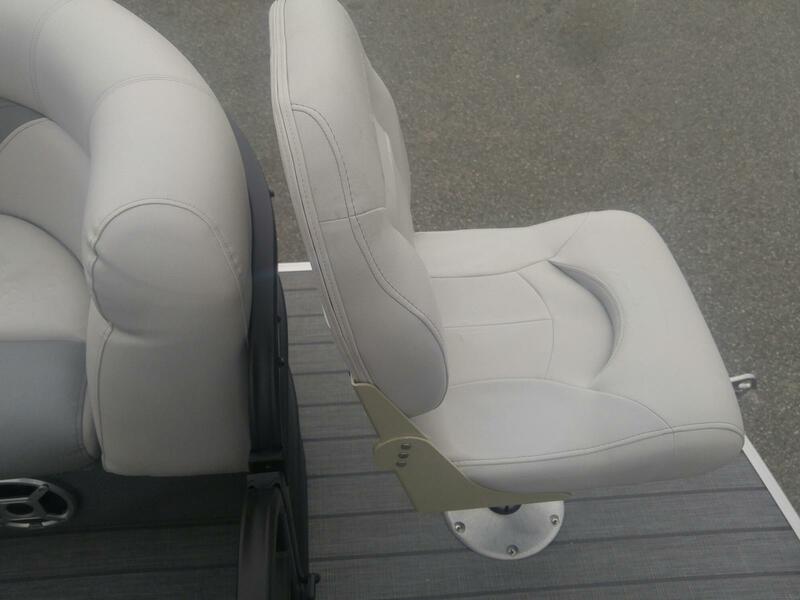 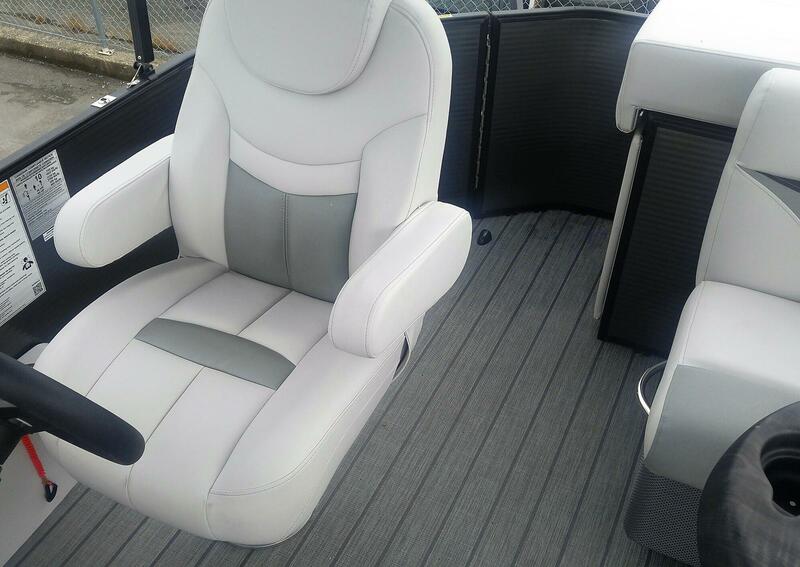 10 year "bumper to bumper" warranty is included on the entire pontoon. 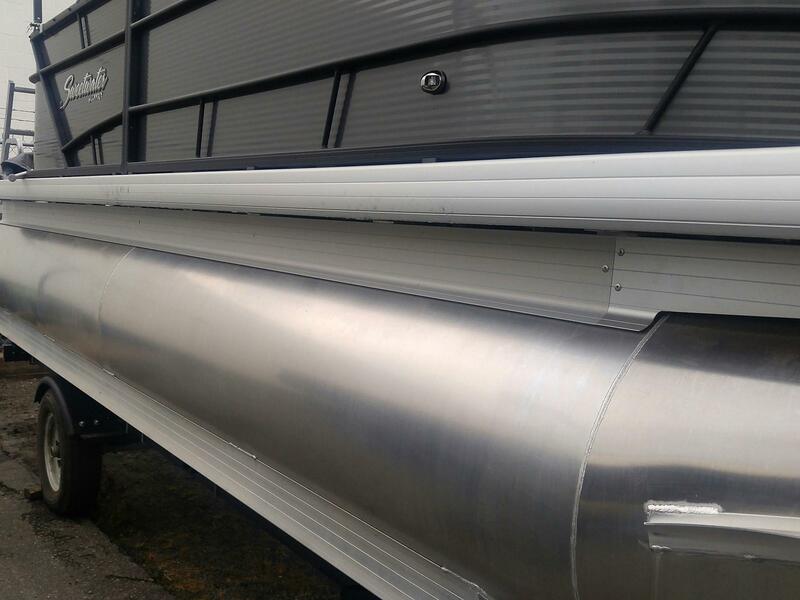 Storage until Spring 2019 is included upon request.